This is a sponsored by Bright Cellars & this post may contain referral/affiliate links. 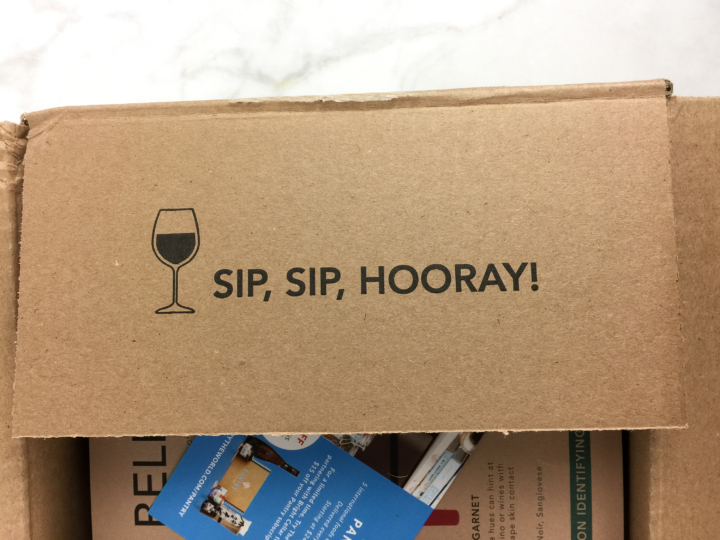 I shouldn’t have to say this, because you have to be at least 21 years old before you can purchase this Bright Cellars subscription box. You will have to provide a valid ID when your box is shipped to your house. Who doesn’t love a bottle of wine after a long day? I don’t know about you, but yes please. I actually used to hate win, just past me the whiskey and call it a day. But I really love trying new wines and trying new things as a whole. I’ve never had a glass of alcohol that I didn’t like. Well, I take that back, I once tried Wild Turkey *shivers*. Work is pretty much insane from now until we’re out next month for summer break. So basically I’ll be working quite a lot until the end of May, then I am free for 3 months. Which basically means, if drinking on the job was legal, we would. With that said, check out my review for Bright Cellars, a wine subscription box. It’s really simple, answer 7 questions about your food and beverage preferences to create a profile that’s unique to you. Based on your quiz answers, we’ll show you the top four wines from around the world that you’re most likely to enjoy. Receive four new wines each month that match your taste. Skip or cancel anytime. Bright Cellars is $80 a month plus $8 in shipping for a total of $88. For $88 you get 4 bottles of wine delivered to your doorstep. That makes each bottle around $20 no matter which bottles you end up getting. How They Describe It: Alluring aromas of juicy peaches, pears, and tangerines draw you in to this ripe, fruity California Moscato. Tropical flavors of guava, passion fruit, and mango linger on the palate along with balancing acidity. When pairing this wine with food, try bridging some of the flavors- look for dishes that incorporate tropical flavors like a pineapple salsa or mango chutney. Taste Like: Guava, Peach, Pear, Tangerine, Honeysuckle. Review: To sweet for my taste, slightly syrupy. Good for dessert wine. One glass with something briney like capers, olives or even raw oysters would complement well. Would be a good wine for spritzers. One part wine to two parts tonic water with a splash of any fruit juice. You can also try to make a white sangria with some fresh fruit. How They Describe It: A sweet style of Riesling from Washington’s Columbia Valley, this wine is incredibly aromatic, bursting with aromas of juicy white cherry and melon with zesty citrus and fresh florals. The sweetness in this wine lends it to pair well with spicy foods, everything from fruit salad with chili-lime dressing to chorizo tacos. Taste Like: Honeydew Melon, Lemon, Florals, Tangerine, White Cherry. Review: The Riesling is on the sweet side as expected but not sugary. Light bodied and a decent finish with nice acidity. Pairs with white meat (foul, rabbit, veal), shellfish and fin fish. Spritzer potential drop in some fresh blueberries or raspberries for added flavor. How They Describe It: Once the most widely planted white grape varietal in California, Colombard has flown under the radar in recent years. Originating in France, this grape creates wines that are light in body, high in acidity, and bursting with fruity flavors from citrus and orchard fruits to even a hint of tropical kiwi and starfruit. Pairs well with fresh cheeses and light seafood dishes. Taste Like: Lemon, Lime, Green Apple, Pear, Starfruit. Review: Love this different tasting wine. I am not a sweet wine fan but I do enjoy the slight sweetness this brings. This pairs well with cheeses, seafood (oysters, lobster, shrimp, clams, crab, fried fish) and chilled soups. How They Describe It: Jammy and ripe, this Australian Shiraz bursts with red and black fruit, eucalyptus, baking spices, and spicy black pepper. The palate is medium-bodied with a lasting, smoky finish, perfect for pairing with grilled meats or peppercorn Gouda. Taste Like: Strawberry, Raspberry, Eucalyptus, Black Pepper, Smoky. Review: Simple, strawberry notes on the tongue, a bit rough on the nose to begin with but let it air out and it gets smoother. It’s a good medium body wine. If you’re down for trying new wines, I totally recommend this box to you. I will give it another try, I have plenty of friends who love wine to share them with. That way, I’m not left drinking these all alone, lol. COUPON: $50 Credit to your first subscription box using this link. Ships to: U.S. where it is legal to receive wine by mail. If you’re uncertain whether you can receive wine shipments, contact the Bright Cellars Wine Concierge at concierge@brightcellars.com. Use this link and you’ll get a $50 credit to use on your first shipment of Bright Cellars. I like a glass of wine or two to relax. I think I would like this subscription a lot! Wonderful review… reviews! I really like how you go into detail of what they say and your thoughts. It’s good to know when a wine is overly sweet or has a strawberry taste. The subscription box itself sounds fun. It’s nice that they ask questions before just sending you wine. Looks like a fun way to try new wines. I like a nice red wine when I eat Italian food. But, I can only handle a glass or two. while I am not a huge wine drinker, this is a fun box. It introduces you to new wines, and it would be fun to see what I could pair with it.